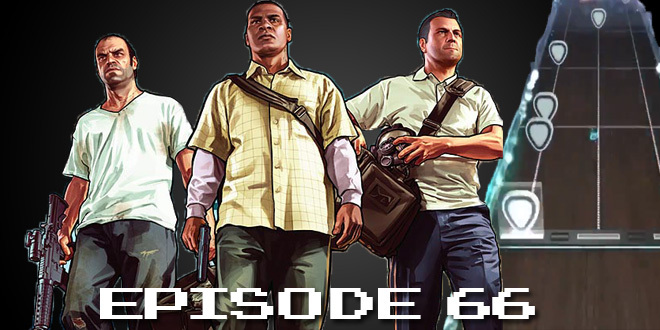 The Gamesmen, Episode 66 – Peripheral Theft | The Gamesmen- What role will YOU play? Join Hardlydan, and Amras89 for game talk and fun! This time, The Gamesmen talk about the new Guitar Hero, Ryu might be coming to Smash Bros, Hearthstone finally coming to smartphones, a WayForward Apple watch game, more Konami and Kojima drama, a possible Sailor Moon game, modding a 3DS into PC remote desktop, and the Star Wars Battlefront reveal. Games discussed are Elite: Dangerous, Minecraft, and Grand Theft Auto V.
Answer the #tGmQuest – What Anime do you want made into a video game?